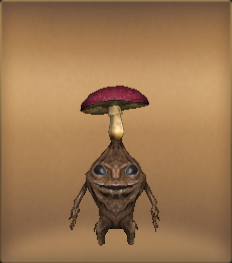 A Mandragora that had spores stuck on it and as a result, sprouted a mushroom. The mushroom itself is poisonous, but if carefully treated and processed, can be used as raw materials for an aphrodisiac. Aficionados will leave the brilliant red cap as it is, but in most cases it is cut off and thrown away.